Welcome to the beautiful towns of Mooresville and Davidson, North Carolina! Davidson is located just 20 miles North of Uptown Charlotte and just a little further up the road is Mooresville, North Carolina situated 30 miles North of Uptown. Both areas exude the ideal small town atmosphere and local charm that cannot be surpassed. Come visit and experience the warm welcome from the local residents for yourself! You will find yourself not wanting to leave. Mooresville, NC was ranked as one of the Top 100 Best Places to Live for superior schools, safe streets, economic opportunity, and a family friendly atmosphere. Mooresville, NC also known as Race City USA, is the headquarters for several of the NASCAR Racing Teams. If you enjoy the small town feel but want all of the conveniences of shopping, dining, lake activities, parks, and other area attractions, you will love living in Mooresville. Davidson, North Carolina has also been ranked one of the Top 100 Best Places to Live. Davidson is home to Davidson College, a private liberal arts school. This small college town is like no other! The beautiful tree lined streets and quaint downtown area surrounds the gorgeous campus of Davidson College. Only a few short miles from the sparkling shores of Lake Norman, Davidson offers endless activities for people of all ages. 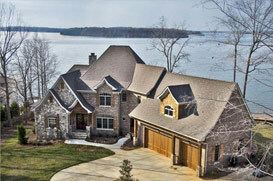 Are you looking for a new home in the Mooresville or Davidson areas? The Real Estate for sale in these two prime locations will not disappoint. Some of the homes for sale in Davidson and Mooresville include downtown historic homes, bungalow style homes, large estate homes, waterfront homes, new construction homes, resale homes, townhomes, patio homes, and much more. Some of the top builders in the area are David Weekley Homes, Saussy Burbank, DR Horton, Mattamy Homes, MacNeil Homes, and more. You will also find several new home communities to choose from, including Bailey Springs, Summers Walk, Davidson Pointe, Bailey’s Glen, River Run, and Bradford. There are also more established neighborhoods such as The Woodlands at Davdison, Davidson Springs, Park Place at Davidson, Homestead, Shiloh Village, Park Creek, Archer Ridge, Oaks on Main, Emerald Green, Northbridge, Huntwyck Place, Foxfield, Northington Woods, Woodleaf, Huntington Ridge, Greycliff, Byers Creek, Waterlynn, The Orchard, Mooresville Station, Honeysuckle Creek, Walden Ridge, The Farms, The Reserve, Bay Crossing, and many many more. If you’re in search of a Real Estate agent in Mooresville, NC or Davidson, NC, please allow one of our experienced team members to assist you in the home buying process. We are passionate about Real Estate and will always go above and beyond to ensure that you are 100% satisfied! We love Charlotte and hope you will as well!